This coupe tried its best to look sporty, but it pretty much resembled a Fiat X1/9 that had been subsisting on Krispy Kremes and Big Gulps its whole life. The real selling point, or what Buick thought was a selling point, was the car’s “Electronic Control Center.” Touch screens in automobiles these days can be found on entry-level Kias, but in 1989, using an interactive monitor in place of more traditional climate and radio controls was a radical step forward. 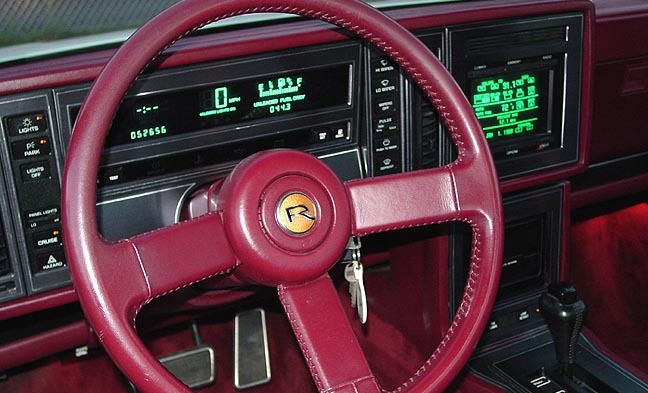 The Reatta drivers who managed to survive overwhelmed their dealers with so much negative feedback that by the time the 1991 model was released the screen had been replaced with more traditional push buttons and analog dials. It was too little, too late and the car was nixed from the Buick lineup the very next year.